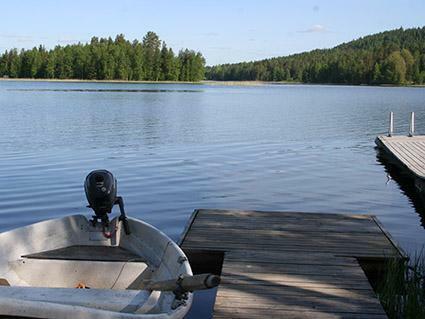 13 south of Nurmes, L.Pielinen 50 m, shallow, hard sanded bottom, own boat. 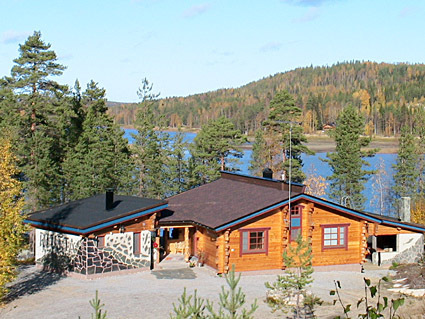 Log/ stone high standard chalet 2004, kitchen, living room convertible sofa/ bed for two, bedroom double bed, bedroom 2 beds, dressing room convertible sofa/ bed for two, washroom, sauna (elec. stove), hall and open porch. 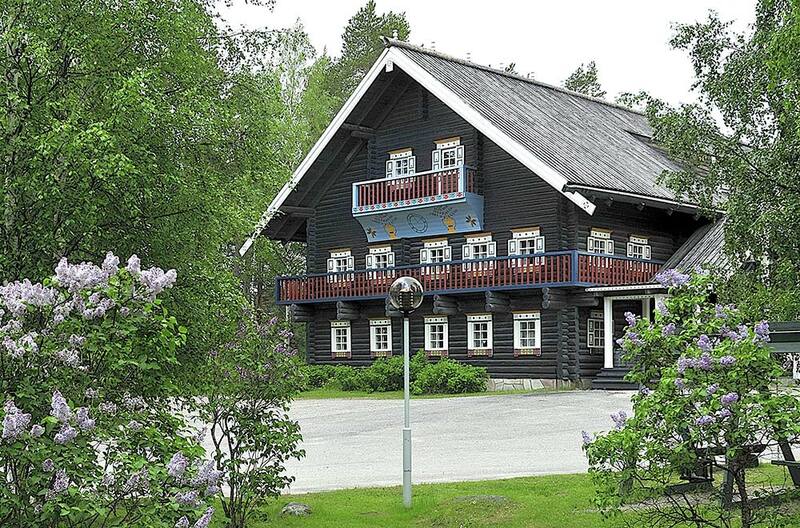 Access to sauna, washroom and dressing room through porch. Other toilet is in sauna building. 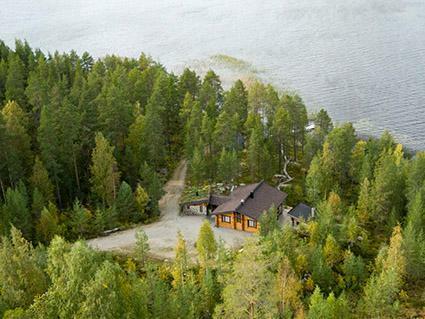 Robust, high standard complexity with lovely view over Lake Pielinen. Chalet yard is level and sanded, duckboards have been laid from cottage to the shore. Plot is otherwise in natural state, partly rocky and stony. Good berry- and mushroom picking areas and fishing waters. Net license is included for the rent (no nets). 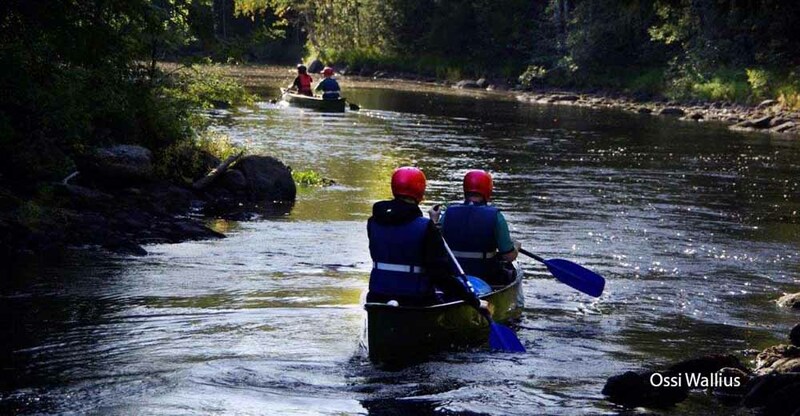 Local Fishing licenses can be purchased from the owner of the cottage. Own boat and safe jackets. Owner rents out fishing equipment and outboard motor (3 hv). Hut with fireplace, wooden warming oven and range, grill and smokebox. Baby cot and high chair available on request (free of charge). 2 km long hiking trail to Riuttavaara hill. Check in/out on friday. Horse riding opportunities 7 km. Hyvärilä Golf 10 km, Sotka spa and Bomba house 11 km, Nurmes 13 km. NOTE! 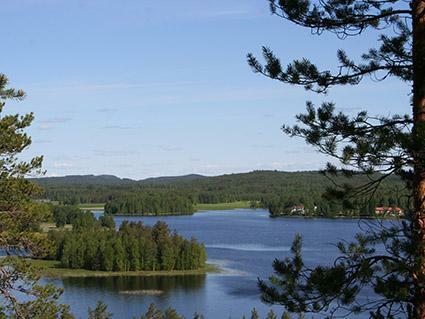 Vuokatti, Tahko and Koli 1 hour driving distance.